1st row: Robin Ras and Quan Zhou from Aalto University (Finland). 2nd row: Bernhard Lendl and Johannes P. Waclaweck from Vienna University of Technology. 3rd row: Gerhard Murer (Chief Scientist Anton Paar), Friedrich Santner (CEO Anton Paar), Prof. Wolfgang Kern (Montanuniversität Leoben), Ronald Henzinger (Head of R&D Anton Paar). “At our first Anton Paar Research Award, we were hoping for 25 submissions. In the end, it turned out to be 69," says Gerhard Murer, chief scientist at Anton Paar. The entries came from 19 countries, most (ten) from Austria, followed by nine each from Brazil, and Germany. The five-member jury - Prof. Ferdinand Hofer from Graz University of Technology, Prof. Oliver Kappe from Karl Franzens University Graz, Prof. Wolfgang Kern from Leoben University of Mining and Metallurgy, Anton Paar research director Ronald Henzinger, and chief scientist Gerhard Murer - was particularly impressed by five projects. Finally, it was clear that the prize money of 20,000 Euro will be shared this year and will go to research groups from Finland and Austria. Both projects fulfilled the decision criteria, namely the novelty and ingenuity of the method and an attractive utilization potential in measurement technology. Robin Ras and Quan Zhou from Aalto University in Finland have submitted a project for the locally high-resolution measurement of the wettability of surfaces. For this purpose, a super small drop of water fixed to a sensor is approached to the surface of interest and removed again after contact. By measuring the forces occurring in the Nano-Newton range, information is obtained on how strongly the surface attracts or repels the liquid at the contact point. The researchers have already submitted their method for patenting. According to the jury, it is scientifically exciting and also promises economic success. Plastics specialist Prof. Kern is particularly impressed with this "cool method for investigating wettability in the micro range." The procedure submitted by Johannes Waclawek and Bernhard Lendl of the Vienna University of Technology, which receives the second half of the research prize, has also already been submitted for patenting. Gerhard Murer: "This approach could be used to investigate the exposure to harmful trace gases at the workplace." The method is based on the high-resolution measurement of the change in the refractive index when the trace gas is excited with a laser beam. It fascinates with sophisticated noise suppression, according to Prof. Hofer. 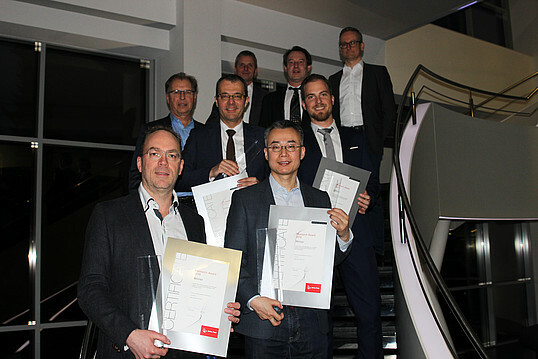 In 2018, Anton Paar was calling for applications for the 1st “Anton Paar Research Award for Instrumental Analytics and Characterization”. To be eligible for consideration, proposals about projects not older than two years needed to focus on new methods and/or applications in instrumental chemical analytics or the physical characterization of materials. Additionally, the proposals should show a high probability of enabling new scientific or industrial products and/or applications. The application was open to anyone interested in chemical analysis or physical characterization. The focus should have been on new methods and applications. 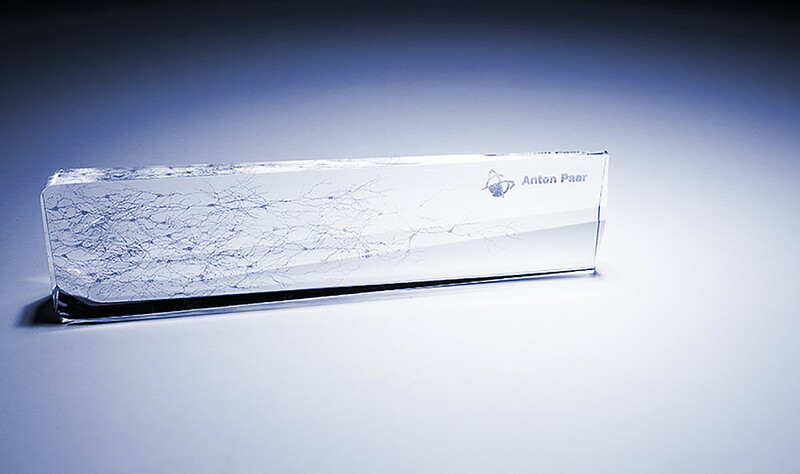 The next Anton Paar Research Award will be announced soon.